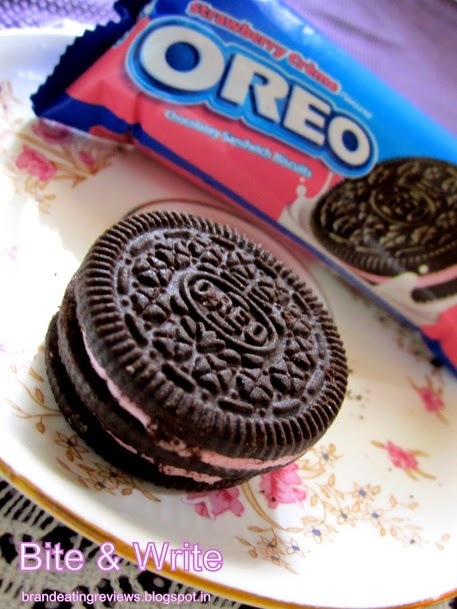 Oreo Strawberry Créme is the third addition to the Oreo cookie range in India, i.e., it was launched prior to Oreo Orange Créme. 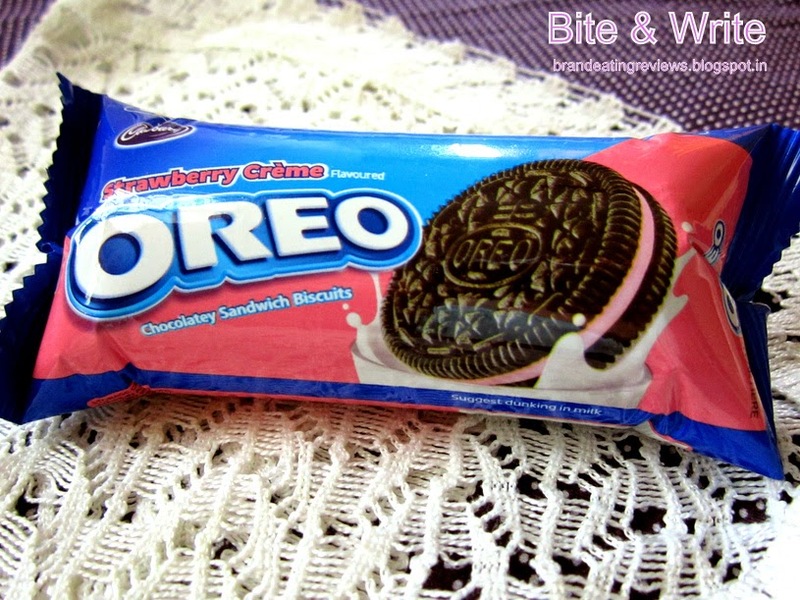 You can find its review here -> Review - Orange Créme Flavored Oreo Chocolatey Sandwich Biscuits. 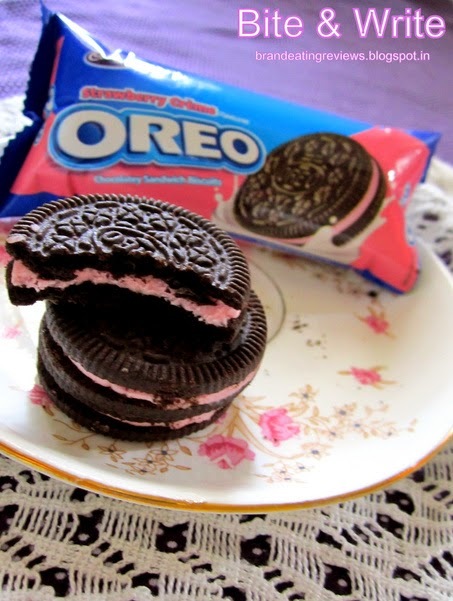 So, after much procrastination I finally tried out Oreo Strawberry Créme for the first time. Surprisingly, it turned out better than its Orange cousin. 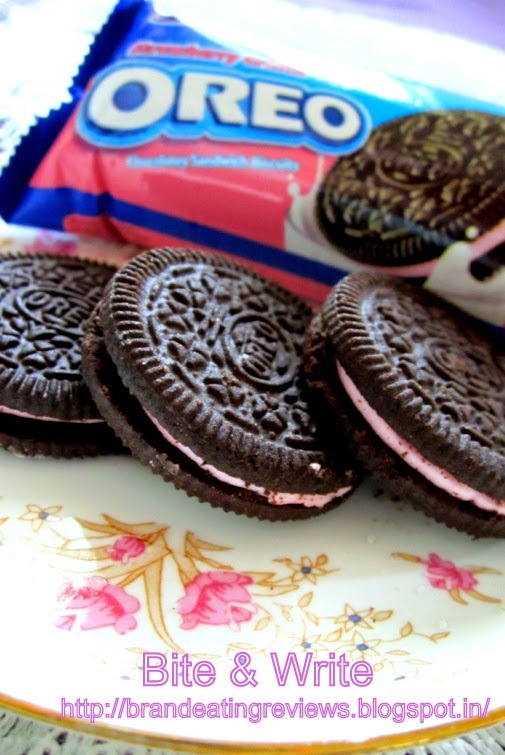 You will often find that the Oreo cookies in the pack are either cracked or completely crumbled. Well, it is quite normal for biscuits that are packed without the plastic tray to crumble and fall apart by the time they reach us. But for the cookies that look so beautiful and the price charged that is so hefty, I think Cadbury India (a part of Mondelez International) should tinker with the packaging of Oreo cookies. A plastic tray would be a nice addition. Let us see how it tastes. When I opened the pack, the chocolaty fragrance laced with the freshness of strawberries hit my senses. I took a bite and I could taste the subtle strawberry-ness from the cream. The cream was moderately sweet, just the way I like it. It was not at all overpowering and I could still taste the bitterness of the cocoa from the biscuit. After the first cookie you can sense how synthetic the flavor tastes. It lacks the natural tang of real strawberries. The cookie doesn't leave a remarkable aftertaste. I tried dunking it into the glass of milk and it tasted okay. I was happy with the way the cookies smelled and looked. Unfortunately, my taste-buds were not pleased and had a difference of opinion. Personally, I love the chemistry between the two sinfully delicious ingredients that strawberries and chocolate are. You can taste the magic by simply biting on a fresh strawberry dipped in melted dark chocolate! But Cadbury just couldn't get it right! May be too much of artificial essences killed the show! Let us take a look at the ratings. Will I buy these again? I think I will just stick to the Vanilla and Chocolate Créme.